Patch 1.3.0 is ready for the roll out! This Patch is much larger than our usual hotfixes. Therefore we will have to put our servers into maintenance mode during the deployment process. The servers will go offline on August 17th at 1:00 PM [CEST] for a few hours. Unfortunately you won´t be able to play during maintenance mode. We are doing our best to keep the downtime as short as possible! We are proud to introduce a new feature to the game with the upcoming update 1.4.0. “Arrival on Catan” will introduce every new (or old) Catanian to different aspects and possibilities of Catan Universe. Our old friend Candamir will assist you in your first steps on the island. You will play games using every expansion available in Catan Universe and get challenged by the AI. Once you completed the tasks for the “Arrival on Catan” you will permanently unlock a Singleplayer and Custom-Match mode for the scenario “First Island”. You might already know this scenario from the Free-Match. This means: More unlimited free content for every Catan Universe user! We are very excited we found an interesting and fun way to present the variety - we already have to offer - in Catan Universe to our new and future fellow Catanians. Enjoy the “Arrival on Catan”! We can´t wait to release the update. Catan Universe sets sail for mobile! Catan Universe will be released for mobile devices on November 15th 2017! Can´t wait? Visit us at “Spiel ´17“in Essen (Germany)! From October 26th to 29th you can take an exclusive first look at exhibition hall 3, booth 3 B -112. Catan Universe is now available for Google Play and the Amazon Appstore. The Apple version will be available as soon as has Apple finished its review process. If you already have a Catan Universe account, login with your account data and play the expansions you purchased on Steam or in the browser! One account for all your devices! in this post we want to give you a heads up about the past few weeks and what the near future holds for you. Since the mobile release of Catan Universe on November 15th we saw an immense increase in our user base. We are thankful for the hundreds of thousands of Catanians playing Catan Universe last month! You guys are awesome. But despite being happy about this success we acknowledge that we had and still have some issues with the game, especially when it comes to the stability of the multiplayer mode. In close cooperation with our server and backed provider, we have been able to identify and resolve some issues on their end that caused some the connectivity issues. In our ongoing effort to increase the performance and reliability, we will add a few changes and updates for server- and database handling with an upcoming update. These changes will streamline the way our servers handle players (clients) requests and therefore increase the stability and performance. Furthermore there will be some changes to the “Timer-System” which should make them more reliable in cases of connection loss, reconnecting players or players being idle. We are also working on an additional system which will monitor the status of each running multiplayer game and the info of that game we have on the servers. If needed, the system will automatically re-sync all clients with our servers to make sure the game stays synchronized for all players at any given time or circumstances. As you can imagine, these changes should be tested thoroughly to make sure everything works out as planned. It is our goal to be finished with the implementation of the mentioned systems next week. Then the internal testing will start. That’s it for the current development status - We are back to work now, but certainly not without wishing you a great 2018! we have a little something for you! From Feb.1st to Feb 4th you will be able to play the Seafarers expansion in Catan Universe for free! All you need to do is log in to your Catan Universe account! Tomorrow on Feb 1 we will have to do a server maintenance starting from 11 am [CET] for about an hour. During the maintenance, the servers won’t be available for you. We are doing our best to keep the downtime as short as possible. 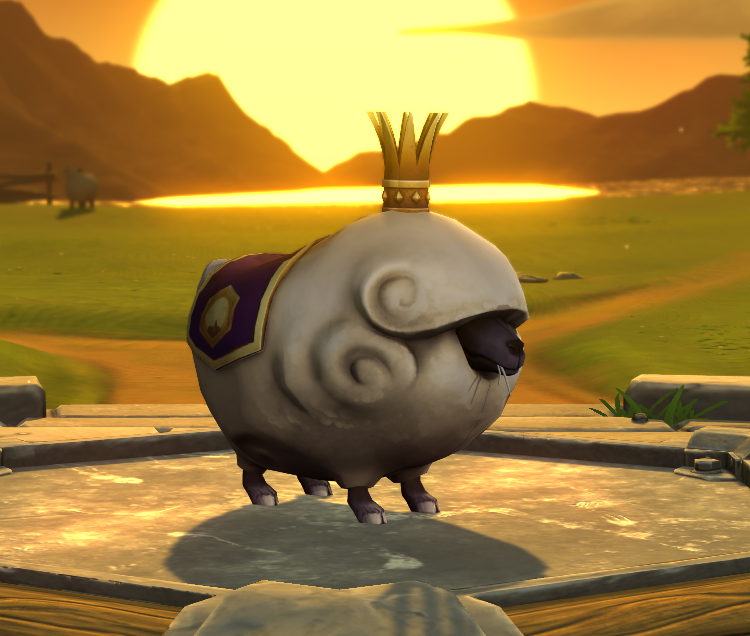 In this post we want to give you a little heads up on what we worked on for Catan Universe 1.4.4 in the last weeks. Turn-Timer: We took a close look at the turn timer and how it was communicated from and to the different client versions. We found edge cases and ironed them out. The turn timer should now work more reliable in CU 1.4.4. Kick-Timer: If a player loses connection to the servers the Kick-Timer gets started. We made the communication for that info (when to start and end the timer) more robust, especially when players had a bad or unreliable connection. Now we see large improvements in that field. Game-state synchronization: We integrated a process that will automatically reload the correct state of the game once a session should become “async” (not all clients have the same information) due to connectivity interruptions of one or more players. You will notice that the scenario will automatically reload and re-initialize in a case of a client becoming async. AI taking over: If a player leaves the game he/she will be replaced by an AI so that other players can continue to play. We found some edge cases in which that didn´t work properly and fixed them. Store/Friend list etc. searches: We optimized the way the user-database is scanned, e.g. when players search for other players. Due to the increasing numbers of player, we have been able to identify several opportunities for optimizations, thereby reducing traffic on the servers. This means you should be able to profit from the more responsive servers as soon as 1.4.4 is live. Playing with older versions: We integrated a new mechanism that will detect what client version you are using. We did this because due to our large user base we can’t ensure that everyone updates quickly or uses the same client version. From now on, only players with the same client versions will be able to play against each other to make sure the game runs smoothly. We can describe these changes in a few words here, but for us, these changes meant that we updated almost all of the underlying systems of the multiplayer mode of Catan Universe. Think of it that way: We dismantled important engine parts of the vehicle we call Catan Universe. We cleaned them up, tuned them where they could be tuned and put it all back together. Unfortunately, this always takes a while and from time to time (during testing) you have to go back to dismantle parts again if you find that a solution isn´t working out as you have wished for. Long story short: We are on our final stretch of internal testing. If everything goes to plan, you should receive CU 1.4.4 next week. With the server maintenance this week we already jumpstarted the process! Thank you all very much for your patience during the last weeks. We are looking forward to the release of Catan Universe 1.4.4! Today Feb. 08 we will start to roll out Catan Universe 1.4.4. at 11 am [CET]. During the rollout process, it is possible that there are slight interferences in the game. Thanks for understanding. Catan Universe is now available for Macs via STEAM! Download for free today and enjoy Catan Universe on your Mac like never before. If you should already have a Catan Universe account, simply log-in and get access to all your already unlocked progress and expansions. The MAC Version of Catan Universe is of course also ready for cross-play with all other versions of Catan Universe! Version 1.4.5 of Catan Universe will be rolled out May 16th at 11 AM [CEST]. Servers will go into maintenance mode for about 2 hours to ensure a smooth roll-out. Please note that the update may take some time to get distributed to your countries Appstore. The Steam and Browser Version of Catan Universe 1.4.5 will be available right away. We are very excited for you to get your hands on CU 1.4.5. The version includes lots and lots of fixes and it will bring a turn timer to Catan Rivals. tomorrow June 20th our servers will go into maintenance mode starting at 1 PM [CEST]for a few hours. We will roll out Catan Universe Version 1.5.0 including Rivals of Catan. Please note: You won´t be able to play during the maintenance. To make amends for the issues of the 1.5.0 version, we’ve just unlocked our brand new Rivals for Catan content for everyone during the next 36 hours! Just open Catan Universe and give the 2 player Catan card game a couple of free tries! We love your feedback on our game, so please don’t hesitate to contact us in any way with your suggestions. Tomorrow morning [CEST] the Forum won´t be available for you due to important maintenance. We will do our best to keep the maintenance as short as possible. Tomorrow August 22nd 10:30 AM [CEST] our servers will go into maintenance mode for a few hours. This maintenance is needed in preparation for our next major update Catan Universe Seasons (1.6.0). We are currently in the final stretches for this upcoming update and we are looking forward to bring it to you as soon as possible. Competitions you can sign up for with scrolls in one expansion. Participants will be rewarded with cosmetic and exclusive in-game prices. Stay tuned for more info on that! Along wished for feature by our community. You will be able to make counter offers for every suggested trade. The system is integrated into our current trade system. You will be able to simply change the offer you see to a counter offer. The new shop system will allow us to make special offers to all our Catan Universe players. This means discounts on expansions, avatar sets and so on. We will also be able to show you what new shop entries we have.